The best way to learn more about St. Joseph Christian School is to experience it firsthand. We invite you to let us show you around our school, hear from students, teachers, and parents as they share what SJCS means to them. Join us for a personal tour, open house, or student shadow day where you and your student can experience our SJCS family. Take advantage of these events to ask questions and learn more. It will be a privilege for us to get to know and serve your family! Click on “Admissions Events RSVP” to schedule your visit! Consider attending one of the following admissions events! You won’t want to miss this evening! Make plans to attend this special event of the year allowing families to see SJCS up close! Come see why families in St. Joseph and over 15 surrounding areas/towns choose SJCS to provide a seamless Pre-K through 12 Christian education for their children. Families will be able to tour our school, visit classrooms, meet administration and teachers, and get their questions answered. Learn about our academics, extra-curricular activities, our enrollment steps and the financial aid process! Please RSVP to kingc@stjosephchristian.com or by calling 816-279-1555, ext. 510. If you are considering Pre-K or Kindergarten at SJCS for 2019.20, you are invited to join us at one of our Pre-K/K Storytime dates, designed for YOU and your child! All in attendance will receive Pre-K/K readiness information to help prepare their little Lions for SJCS! Please RSVP to Cyndi King at kingc@stjosephchristian.com or by calling 816-279-1555, ext. 510. Shadow Days: Spending a day shadowing a current student is a great way to experience SJCS. Shadow students are matched with one or more student hosts in the same grade, attending classes, chapel and more! Visitors will interact with student peers and teachers and see firsthand what SJCS is about. SJCS has several set shadow days available for any prospective student, currently in 4th through 11th grade. Upon receiving initial forms, a student may shadow from 8 a.m. to 12:30 p.m. for elementary, or 8 a.m. to 2 p.m. for secondary students. 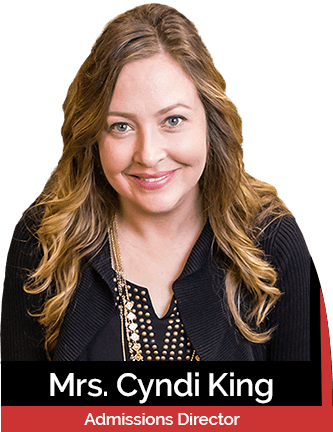 Any parents interested in having their student shadow may contact Cyndi King, Director of Admissions at kingc@stjosephchristian.com or at 816-279-1555 ext. 510. Dates are subject to space availability and school events. Make plans to visit an admissions event to see what St. Joseph Christian School has to offer.